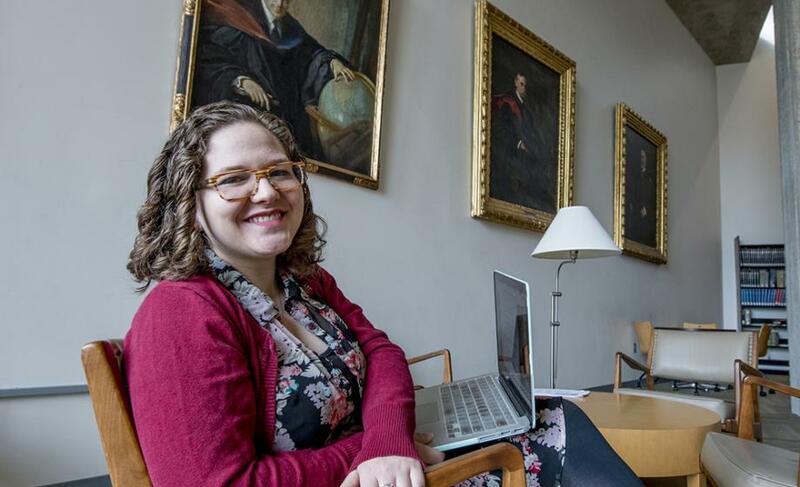 Miranda Weinstein ’16, M.A.’17, sees a disconnect between international politics and understanding the real-world impact of policies and development. “I feel my political science background at Clark provided me with an understanding of structural inequalities and who has the power to make decisions,” she says. Weinstein, who majored in political science and international development and social change while an undergraduate, earned a master’s degree in IDSC from the Accelerated B.A./Master’s Program in May. “I was worried my interests in the intersection between development and policy didn’t fit into the IDSC major,” she says. Weinstein notes that Professor Ken MacLean helped shift her view and realize the flexibility of the subject area. She credits her Clark experience with teaching her to critically reflect on her own involvement in policy research and Professor Srinivasan Sitaraman with helping her develop a passion for human rights. Weinstein used that passion while completing internships at the human rights organization NamRights in Namibia and at the UN Refugee Agency office in Sweden. Her master’s paper, which examines a floating accommodation system, or floatel, for refugees, is based on the latter experience. While she considered applying to law school after an internship in the Marshal’s Office of the U.S. Supreme Court, Weinstein’s experiential learning experiences helped her realize that the concept of justice can be applied outside of a legal framework.